Delta Air Lines completed its 15th Global Build with Habitat for Humanity, a global nonprofit organization that helps families build or improve a place they can call home. 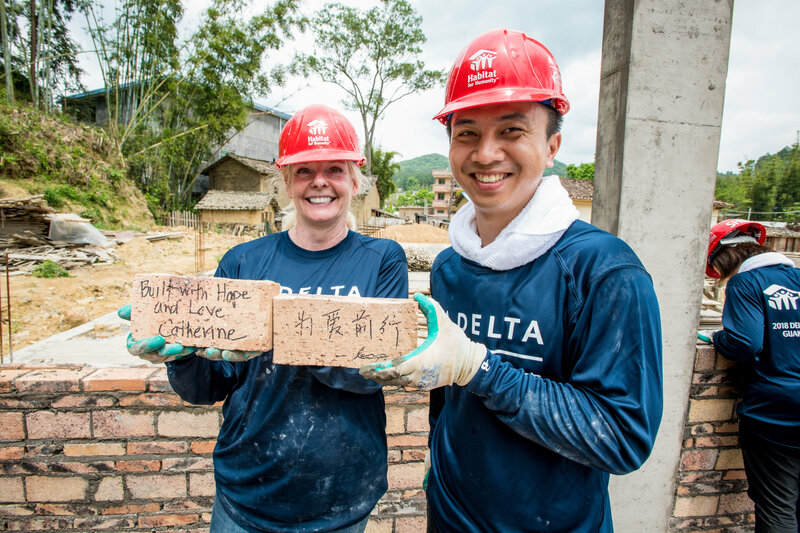 52 Delta employees and retirees, representing 18 stations and seven countries, along with 16 China Eastern employees worked together in Sancun, a small village 85 miles north of Guangzhou, to help with the construction of six new homes for local families. For the 8th consecutive year, SkyMiles customers who bid for the opportunity to participate through Delta’s SkyMiles Experiences online auction took part in the project as volunteers, including Platinum Medallion member Pat Lottier from Atlanta, Georgia, and her sister Marina Williams, as well as Diamond Medallion member Lee Morgan from El Dorado, Arkansas, and his wife Heidi. The Morgans celebrated their 30th wedding anniversary while serving on the Delta Global Build. On the last day of the build, April 6, the team celebrated at a home dedication ceremony with the future home owners and enjoyed the time together sharing well-wishes for the future. China Eastern is Delta’s strategic partner in China. Delta invested $450 million and acquired a 3.55 percent stake in China Eastern in 2015, and is expanding the codeshare agreement to increase access to the interior of China, with 1,800+ round-trip flights per week to 50+ unique domestic mainland Chinese cities. 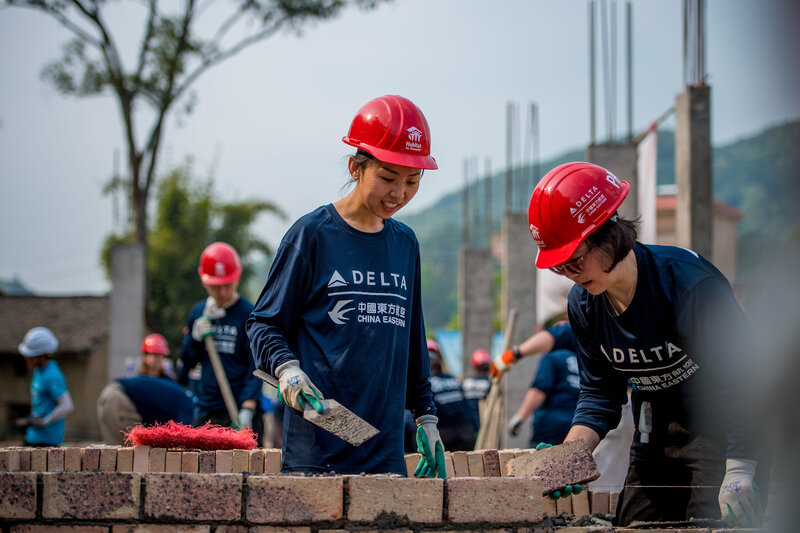 With the completion of the 15th Global Build in Guangzhou, Delta volunteers have built or rehabilitated 259 homes in 12 countries all over the world since our partnership with Habitat for Humanity began in 1995. Delta Global Builds have been organized in South Africa (2006), Ghana (2007), India (2007), Chile (2008 & 2010), Thailand (2009), China (2011 & 2018), the Dominican Republic (2012), the Philippines (2014), Argentina (2015) and Mexico (2013, 2016 & 2017 spring and fall).